Windows Phone 7 is clean and easy-to-use, but the first generation of hardware was weak. Nokia's Symbian phones, on the other hand, had solid hardware but a confusing, stale operating system. Thus, the marriage between the two companies seems like a perfect solution. Finally, after almost nine months of waiting, the Nokia Lumia 800 and Lumia 710 have arrived. 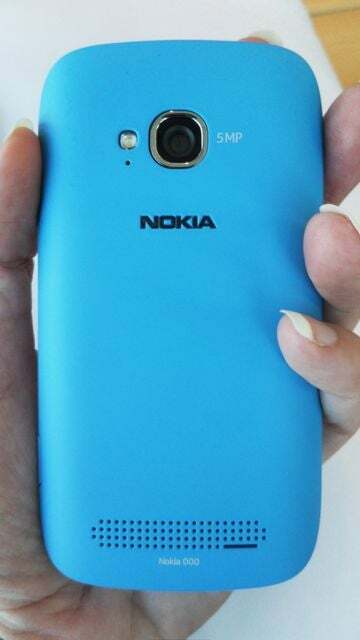 The Nokia Lumia 800 looks familiar--its design is based on the Nokia N9, which runs the MeeGo operating system. 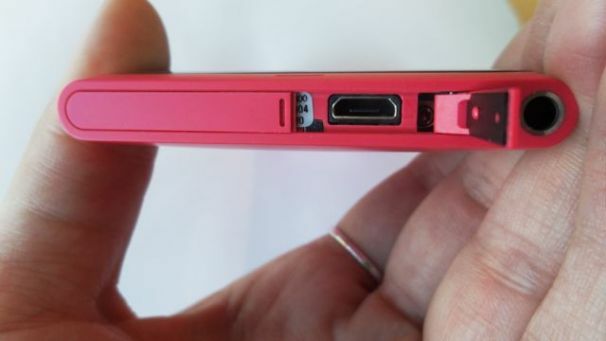 It has a slightly smaller display than the N9, at 3.7 inches as opposed to 3.9 inches. The smaller display size is to accommodate the three Windows Phone buttons (Back, Home, Search) found on every phone. The curved AMOLED display has bold colors and deep, dark blacks. The display uses "ClearBlack" technology, which increases its visibility in bright sunlight. I miss the days of bold, brightly colored phones--does every phone have to be all-black and rectangular? 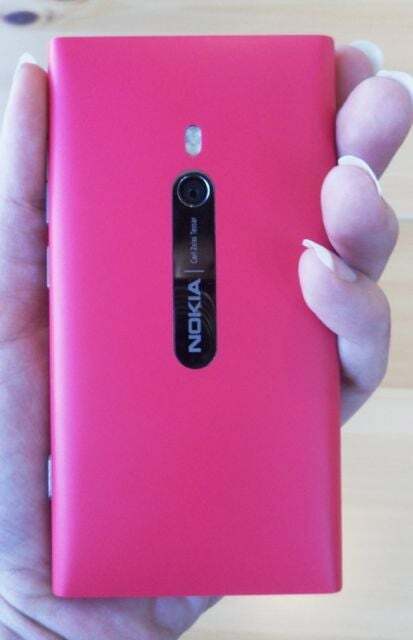 I always appreciated Nokia for releasing its flagship phones in a variety of colors so I was pleased to see that the Lumia 800 comes in cyan (sort of a bluish green) and magenta, as well as black. The phone is a bit on the chunky side, but its slightly curved shape feels good in hand. The phone is made out of single injectable polyurethane matte plastic, which gives it a sturdy feel. The material is soft to touch, but scratch and fingerprint resistant. It also doesn't feel like it will completely shatter if you drop it. The Lumia 800 is powered by a Qualcomm S2 single-core 1.4GHz processor. Spec-wise, this puts the Lumia at a disadvantage to its competition, such as the Nexus Galaxy and the iPhone 4S, which both have dual-core chips. In my hands-on use of the browser and various apps, the Lumia 800 felt snappy and smooth. I've always been a fan of Nokia's Carl Zeiss lens cameras, especially the camera on the N8. The Lumia 800's 8-megapixel camera is seems similarly impressive. Shutter speed was snappy and my photos, at least the ones I viewed on the phone, looked sharp. Both phones have an auto-fix feature in the camera software, which automatically brightens photos taken in a dark environment. It actually works quite well: I took a picture in a dark hallway, I hit auto-fix and instantly the photo was brightened, revealing details I hadn't noticed before. 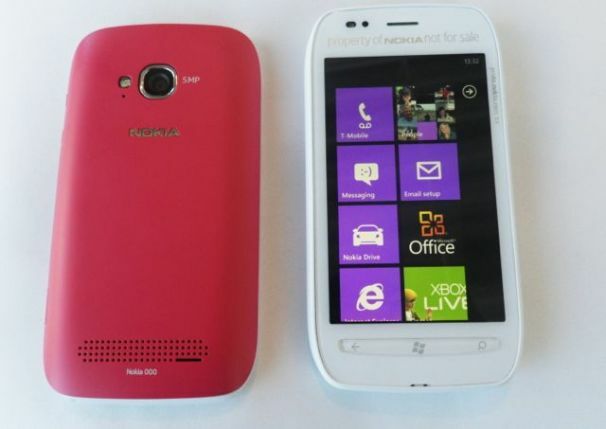 Nokia is calling the Lumia 710 a "no nonsense" phone, meaning that the 710 is a simpler, less expensive version of the 800. The 710 has the same processor as the 800, but a TFT display rather than an AMOLED display and a 5-megapixel camera rather than an 8-megapixel camera. Like the Lumia, the 710 comes in a variety of fun colors. You can pick from either a black or a white phone and then swap between a black, white, cyan, fuchsia or yellow backing. The 710 has a slightly different look than the 800. It is more plasticky and has squared off corners. Despite the less powerful specs, the 710 was just as speedy as its older sibling. Even the 5-megapixel camera, without the Carl Zeiss lens, took pretty good pictures. Of course, the Lumia 800 runs Windows Phone 7.5 "Mango." I've written extensively about the improvements in Mango, such as real third-party multitasking, improved Bing searching and more social features. 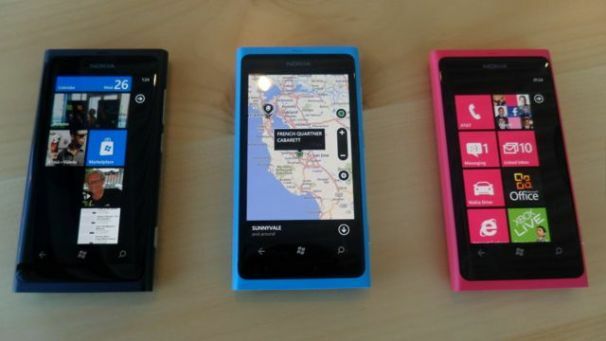 There are also a few special Nokia-exclusive features, such as Nokia Drive, a navigation app, and Nokia MixRadio, a streaming radio app that gives you free access to 100 channels. Nokia hasn't announced any U.S. availability for either phone. The Lumia 800 is available for pre-order on www.nokia.com and is scheduled to roll-out to France, Germany, Italy, the Netherlands, Spain and the UK in November. It is scheduled for "further markets" in early 2012. The 710 is coming to Asia and Russia first and then expanding in 2012. Nokia did confirm that it will introducing new phones in the U.S. in early 2012, which will include LTE phones, in addition to HSPA, CDMA and WCDMA products.